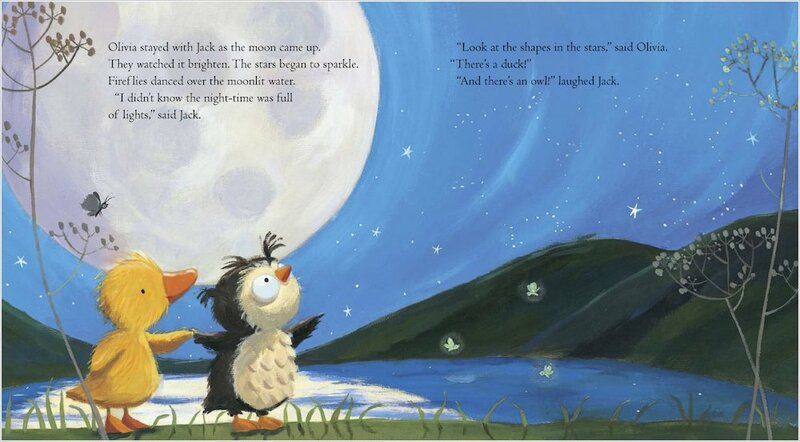 Jack the tufty little duckling is scared of the dark. And Olivia the baby owl is frightened of the light! But when Jack shows Olivia the vivid colours of daytime, and Olivia shows Jack the sparkling stars of the night sky, they find that overcoming fears is easier with the help of a good friend! 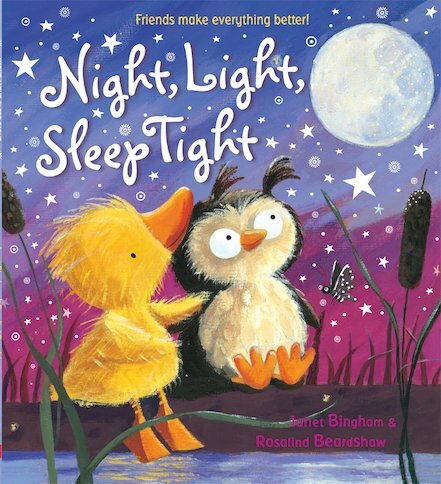 A charming friendship story with a gentle message about seeing life from other perspectives and trying out new things. This is Janet’s second picture book for Scholastic. She lives in Cambridgeshire. I liked this book. I know how it feels to be scared of the dark and this made me feel better. 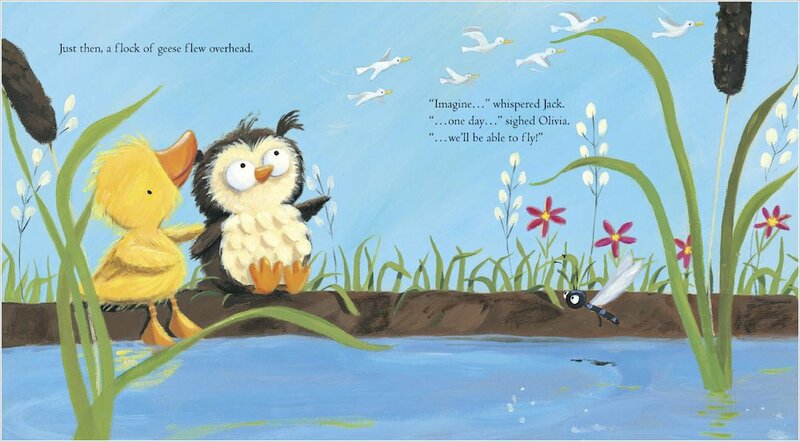 I really enjoyed the book and pictures, the part when Olivia and Jack were chasing their shadows in the sun made me laugh. Olivia helped Jack not be afraid of the dark.